When you’re ready to break into ​ham radio communications, all the options that are out there can seem really daunting. How can you tell which one​ is the best entry level ham radio for new and beginning ham radio enthusiasts? Don't worry, we’ve got you covered with our reviews and buying guide! 3.2 Why Use Ham Radios? Has the latest N5R-340A firmware. 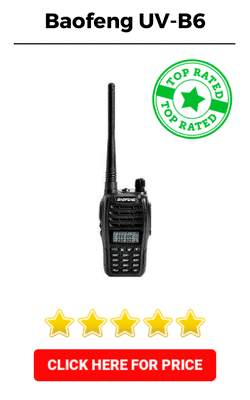 ​Below you will find reviews of all the entry level ham radios listed in the preceding comparison table. Read them carefully to find out what is the best entry level ham radio for your own needs. As one of the two Bao​Feng models recommended in this article​​​ the choices ​for the Bao​Feng UV-B6 are focused on a simplified setup and a few extra bells and whistles. Because of its quality stock antenna, the reception and transmission range exceeds many others made to the same specifications. Some buyers might miss the lack of a rotary selector, but it’s hard not to praise consistent clarity and versatility at this price point. An emergency alarm and built-in flashlight add to the functionality of ​the BaoFeng UV-B6​. Comes with one of the best stock antennas on the market. Receives and transmits well enough for the price. Good sound quality for a beginner’s radio. The battery is average and the charger may feel flimsy. Charger light is bright and flashes constantly when full. Non-standard menu design and setting selections. Buying budget-friendly equipment can be a great way to play around and experiment without being overwhelmed by a lot of professional settings and sensitive components. For ham radios like ​the BaoFeng BF-F8HP it might mean sacrificing range and reception in certain circumstances compared to other choices, but its larger battery allows for extended use. While ​BaoFeng did away with their tri-color customizable in prior models, we like seeing that they’ve brought it back for the BF-F8HP. Even though it may require a separate purchase to get the right cable for PC connections, the accessory is a huge time-saver for buyers interested in using their desktop or laptop for programming customizations. 30% Larger Battery than other models. 2x Output Power (from 4 watts output up to 8 watts). Full backward accessory compatibility with all prior UV-5R accessories. Has the latest N5R-340A firmware, unavailable in the previous model. Beginners may find it difficult to program. Requires separate cable for PC programming. The quality of reception is below average for the market. 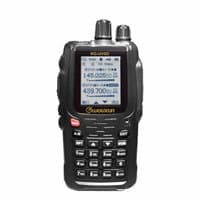 As far as entry-level handheld transceivers go, ​the Wouxun KG-UV8D provides a few key functions with a high-end operation and a few others at average or below average levels. We know this is just what happens when some manufacturer’s focus their efforts on the strength of one factor over another. For this radio, that means durability and audio quality were the most likely priorities for the build and components used to make this model. A solid body, loudspeaker and intuitively designed usability round out the most noteworthy features for the Wouxun KG-UV8D. Large Display for easier readability. Battery backup is below optimal average. The display is sensitive and hard to see in full sunlight. The software is PC-only, not compatible with Mac. Starting a ham radio hobby opens up a whole new way of reaching out to the world around you. Knowing your way around the technical terms, the lingo and all the different ways to use your equipment to fine-tune broadcast and reception takes a little time but pays offs in the end. Entry-level learning should include a training course in your area as soon as possible. In order to legally transmit from a ham radio in the US, you must hold one of three licenses: Technician License, General License or Amateur Extra License. Manufacturers are still able to sell to the public and do not require you have a license in order to buy from them, though! As an unlicensed enthusiast, you can still use your ham radio to monitor, or listen, to frequencies. The FCC permits a very narrow ability to use amateur radio for emergency transmission situations. This can help you test your equipment for the frequencies and transmissions you can pick up and what others in your area are using their ham radios for. Clubs for other hobbyists are also popular places for beginners to get a feel for the community and the practice of ham radio use. Knowing what kind of specifications you need for an entry-level ham radio starts with knowing how far you want to be able to receive or transmit from your radio. Evaluate what range you’re most interested in so that when you’re considering your choices, you know you’ll be able to pick up those bands. Local. If your primary interest is monitoring emergency fr​​​​​​​​​equencies for your immediate area, a radio built for short ranges is a suitable choice. Minimum specifications for most circumstances mean you’ll need a VHF/UGH dual-band and 2-5 watts of output power. Regional. For a wider reach at an entry level use, look for HF transceivers with at least 100 watts of output and an antenna tuner that’s built in. 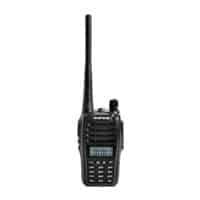 Radios with a combination HF, VHF and UHF can fall into a price range that may be outside of a beginner’s budget. Across the country and the world. In most amateur radio setups, reaching across the country or going world-wide often involves serious accessories and a large antenna. The high wattage requirements and signal strength needed to operate at this level are typically costly and time-consuming projects, so beginners need to carefully evaluate their current capabilities before purchasing at this level. In this day and age of instant digital communication, an analog system like a ham radio can seem outdated and unnecessary by comparison. In fact, shortwave radio has seen a rise in popularity as a nostalgia and retro charm for its early days returns. As well, newer technology can often be vulnerable to natural disasters and widespread outages. Having access and license to receive and transmit over a range of radio bands increases the safety and security you feel if there’s an emergency or disruption to cell and digital services. Several clubs and conventions bring other enthusiasts and professionals together to not keep the community thriving but improving on the equipment and components that make ham radio operations possible. Their unique intersection of technology and communication works to foster sharing information and development. Taking all of our own advice into consideration, the best choice of these three would be the Baofeng UV-B6. Even at a step below the brand’s leading model for beginners, it provides the more well-rounded set of functions and specifications for starting out in amateur radio. For an entry-level ham radio enthusiast, you can’t beat the value this has for being in a lower price range and the clarity of its reception and transmission. However, if you know you’ll need a rotary selector or want to work with a handheld transceiver that has different specifications, you can evaluate your needs compared to what we’ve listed ​in the buying guide section of this article. 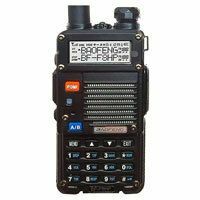 Ultimately, finding the right ham radio for what you want to use it for can depend on the operating location, how far you want your signal to reach and which frequencies you’d like to pick up with your radio. 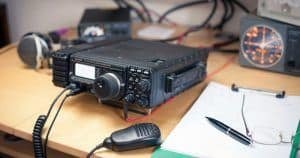 Examining your most likely circumstances when using a ham radio can help you determine how to purchase the best ​entry level ham radio for your needs.